he declared the metal boracium. they declared the metal bore. 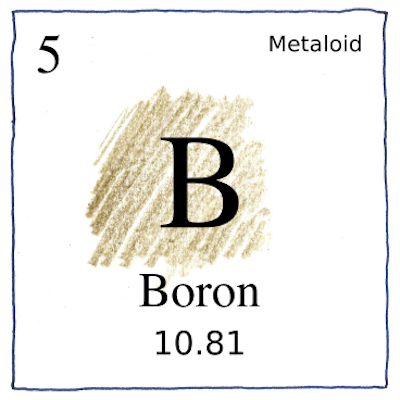 Boron is a key element in high-temperature superconductors, thermal-shock-resistant glass for baking dishes and measuring cups, and an essential nutrient for plants and animals.